Tottenham Community Week (TCW) 2017 has once again delivered an action packed week of free, fun-filled family events celebrating community spirit and making it one of New Tecumseth’s premier events. TCW is a not for profit organization run by a group of energetic and dedicated volunteers and supported through partnerships with the Town of New Tecumseth, community groups, businesses and volunteers. The week started with an evening of spectacular fireworks and fun put on by New Tecumseth and the BTBIA. Thank you to the local firefighters who delivered a most impressive fireworks display that had the massive crowds oohing, ahhing and cheering in unison. On the picturesque morning of Sunday, July 3rd, local families enjoyed a ‘reely’ fun morning of fishing at the Tottenham Conservation Area. Fishing enthusiasts of all ages competed for the coveted trophies before enjoying a complimentary BBQ by Trillium Ford. Thank you to Wendy Gabrek of Trillium Ford and KDell Electric for their continued assistance in making this another successful Family Fishing Derby. Afterwards, the crowds made their way to Keogh Park to catch Sean Bourke at Music in the Park and climb aboard the horse-drawn wagon rides. While aboard, families both new and old were treated to the Fleming Realty’s Tottenham Heritage Tour to learn more about the buildings that shape our community. The TCW fun continued into Monday, July 3rd with the first annual McGoey Insurance Park Party. Town Crier, Ralph Wilding and Ward 7 Councillor, Shira Harrison McIntyre officially opened the packed event at Keogh Park. Community members new and old enjoyed a spectacular evening of free BBQ, games, face painting, balloon animals, magic, live performances and, most importantly, new friendships. An instant success and magical addition to Community Week, thank you McGoey Insurance!! On Tuesday, July 4th the fun continued with our fifth annual 2 km Family Fun Run and 5 km Run where a record number of runners, walkers and wagon-riders wove their way through the Conservation Area and Trans Canada Trail and were rewarded handsomely with amazing Canada 150 medals and unbelievable prizes! A special thank you to TCW member Dan McAdams of McAdams Fitness who organized the event and Tottenham Foodland for ensuring all registered runners enjoyed a free BBQ and amazing gift bags. We look forward to racing alongside even more runners next year! On Wednesday, July 5th, TCW delivered the first annual CRIC Triva Takedown night at the Tottenham Legion. A total of 10 teams registered and rallied for the envied title of ultimate trivia titan. Smarticus clinched the title after a nail-biting final bonus round. Special mention to the League of Extraordinary Guessers, The Quizzards of Oz and the Mansplainers for their valiant efforts!! A huge thank you to TCW member Liana Maddocks for delivering a “should-have-been-there-but-don’t-worry-it-will-be-back-next-year” event! Stay tuned for details. On Thursday, July 6th, the adults were again treated to an amazing evening at the Local Yocal Pub Crawl where crawlers enjoyed a showcase of new talents arranged by We Love Sound Entertainment. Friendships both new and old danced, sang and cheered for the live bands performing at every participating establishment in Town. A fantastic evening! On Friday, July 7th, kids and adults alike descended upon Keogh Park to celebrate Honda Movie Night in the Park. The Tottenham Fire Department opened the firehouse and introduced families to their fleet of emergency vehicles. Wide-eyed children took in all the sights and information about their local volunteer fire fighters. Amazing. At Keogh Park, families were entertained by free games, live entertainment, including an interactive and informative reptile show by David Smith of Dave’s Reptiles before settling in on bales of hay, sharing free popcorn and glow sticks provided by the Ladies Auxiliary and Legion and watched the movie Boss Baby with hundreds of their closest community friends. As always, a magical night! One of the highlights of TCW took place on Saturday, July 8th where record breaking crowds turned out for the annual street festival and Feeb’s Fest on Mill Street. With more vendors, attractions, free games and rides than ever before, the streets were packed with happy, face painted children! Highlights included rock climbing, laser tag, live music, wrestling, dancing demonstrations by Nicole Jacklin’s School of Dance and a hula hoop performer who wowed crowds with her fire-hooping tricks. Feeb’s Pub & Grill delivered an unforgettable evening of live music and dancing under the setting sun. Thank you! The week wrapped up on Sunday, July 9th with the ever popular Tottenham Car Show at the Tottenham Conservation Area. An impressive inventory of shiny, interesting and memorable vehicles strutted their stuff in the hopes of taking away coveted titles and prizes. An impressive collection for sure. Meanwhile, Vinyl Grove delivered an unforgettable concert at Music in the Park that got the crowd up on their feet, dancing on the grass and singing along all afternoon. A fitting end to a fantastic week! TCW express their deepest gratitude to our volunteers. The sea of bright yellow TCW T-shirt-clad volunteers that filled the streets of Tottenham for many days made these events possible and won the praise of all our event organizers, participants and vendors. Well done volunteers and TCW member Wendy Ranby and thank you for making this year’s Tottenham Community Week its most successful in history. 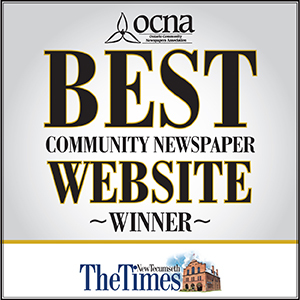 TCW is made possible by the commitment and passion of our many dedicated sponsors, community partners, local businesses, our local OPP and volunteer firefighters and Town of New Tecumseth staff. Without you, this fantastically fun, memorable week would not be a reality. Thank you! The TCW committee is motivated by their love of this community. Organizing a week of FREE family friendly events and activities is a momentous task, but it’s part of what makes our community unique! We thank all of you, the community for making it happen. It takes many hands to build a community, we are so proud to call this community home. See you next year – first week of July! Mary Nordstrom, Colleen Rideout, Alison Jacks, Ashley Tyler, Cara Berube, Dan McAdams, Wendy Gabrek, Wendy Ranby, Liana Maddocks, & Sharon Lawton.